Carrier began research and development in the mid-1990s to better understand CO₂ technology for broad refrigeration applications. Since that time, they have made significant progress to improve designs with CO₂ as a working fluid. Carrier has developed breakthrough technologies that leverage advanced manufacturing processes, new, patented components and new materials to make CO₂ a viable refrigerant again. Carrier employed the use of CO₂ beyond retail applications, developing sustainable solutions for transport refrigeration as well. In 2010, Carrier Transicold was the first to announce natural refrigerant container technology. Used to transport perishable, chilled and frozen goods, such as bananas, cookie dough, ice cream, meat and cheese, Carrier’s NaturaLINE® unit is the world’s first natural refrigerant container technology. 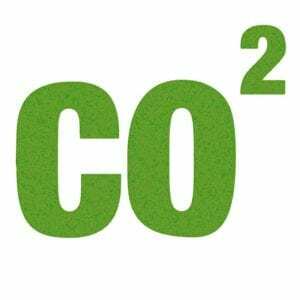 By using naturally occurring, non-ozone-depleting CO₂, NaturaLINE represents an environmentally sound and sustainable technology. But Carrier hasn’t stopped there. They made news again in 2011 when displayed a concept unit for over-the-road trailer refrigeration using CO₂. As the natural leader, Carrier has integrated nature into new technologies to dramatically reduce the global warming potential, ozone depletion and carbon footprint of their products.